Backwood Five is an up-and-coming Austrian/British jazz-funk formation based around Josef Hinterhölzl (aka Joe “Backwood”; drums) and the London-based bassist Stefan Redtenbacher (bass, composition). 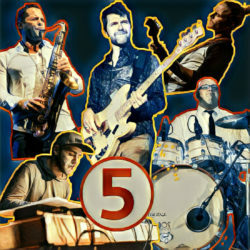 Backwood Five’s music can be described as FUNKy jazz: crispy grooves, the vintage Hammond soul sound paired with a dose of jazz and an electric mix of jazz-funk. 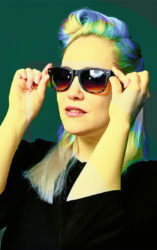 The concert with also feature the energetic talents of the London-based singer Helena May. Since 2008, they have been touring both in Britain and internationally. Since 2017, May has been singing regular gigs with Redtenbacher’s band in the London’s 606 Jazz Club. This cooperation resulted in the 2018 album “Part of Me”.